These workshops are a part of the Program towards Performances and are open for single bookings for days or weeks at a time. 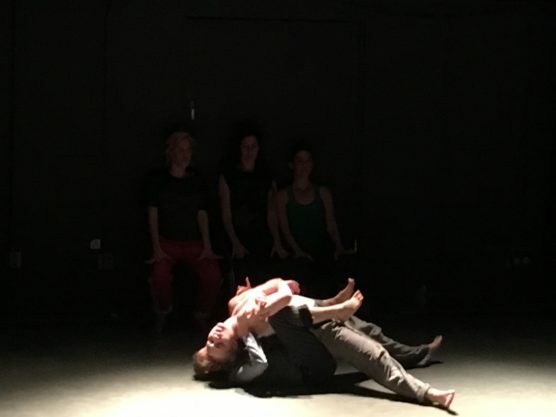 The work includes small body tuning moments, often based in a somatic study, and can range in variables to full out movement in space, focusing on a performance question. Movement ideas are explored through improvisation. Click here for more information….. In this workshop I will cover materials I have researched about “why” we learn to walk and why we forget to to keep learning to walk. In my world of theatre, music and dance the body is the glue that brings all time arts together reminding us that the joy of moving is based in how we continue to be curious about the simple actions we do day to day. “Dance is fancy walking” Click here for more information….. In this workshop, we work on fullness and excess to reach the saturation point in doing, meaning, sensing and creating – that is to find the threshold of making and not making sense. How (long/much) can we sustain the state of over saturation? Click here for more information…….